Why you should be using guest blogging as a tool? Guest blogging is a form of outreach where you create content for another website. One question a lot of people ask is, ‘why should I spend time writing for another website and how will I benefit from it?’. It’s definitely clear that there are lots of benefits. Guest blogging not only helps build your own website’s audience, but it also builds your brand in the long run. Like anything valuable online, this requires effort over many months to really bring benefits. 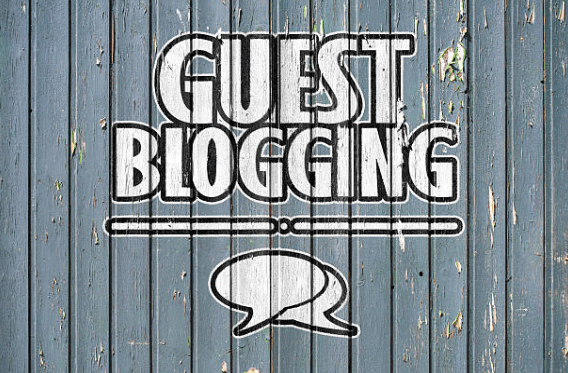 Guest blogging is a great way of generating inbound links to your website. This could come as a subject link within the content of your post or even an accompanying biography straight to your website. This helps build upon your trust flow and citation flow, helping to increase your SEO visibility as Google can see people talking about your website with rich and relevant content. This is the most obvious benefit of guest blogging. This allows you to get your brand in front of a new, targeted audience that is interested in your product/service. If your company is focussed on fashion, then there’s no point writing content for an audience interested in metalworks. The exposure you get won’t be anything you can convert into a regular readership or customer base. When you utilise guest blogging, a much wider network will become exposed to your brand. That audience will soon begin to see you as an industry influencer in your subject area. This is also why it is so important to keep your own blog up to date, so that people come straight to your website for any information or help they need. Content on how-to-guides, popular questions highlighted from keyword research or any industry trends or updates your company should be writing about them. Connecting with influencers in your industry is a great way to build up your online network. This allows your brand to connect with other companies in the industry who can share stories and help build upon your current knowledge base. Positive association with brand names drives credibility for brands. It can be difficult to get approved as a guest writer or contributor for top industry sites, so starting with smaller blogs will start creating the online credibility that will only grow once the author has been published on more popular sites. Guest blogging on popular industry sites can also lead to greater opportunities that go beyond writing posts for additional websites and blogs. They often lead to actual sales of products and services and increased website traffic.